Target has packed it's shelves recently with vegan finds that have the vegan community buzzing. Most buzz worthy is that they released their own brand (under Simply Balanced) of mock-meats. As soon as I saw them I had to pick up a bag! I know some people (processed food police) will nag on you about frozen foods, anything trying to come off a traditional meaty product. I really do not care. I think seeing more vegan options that replace meaty counterparts opens the world to change and acceptance. I know without these products a lot of vegans might not be vegans today! So bring on all the vegan equivalents that can remind us of our youth and get people to open up about vegan food choices! We tried the Korean BBQ Chicken on tacos. The strips look weird when they first come out of the bag, kinda like rubbery ice cubes. Once browned with a bit of oil and the sauce added they come out golden and tasty! Speaking of sauce you get two packets of it, so you can divide your package into more than one use! Besides Korean BBQ the other varieties include mushroom and chipotle. 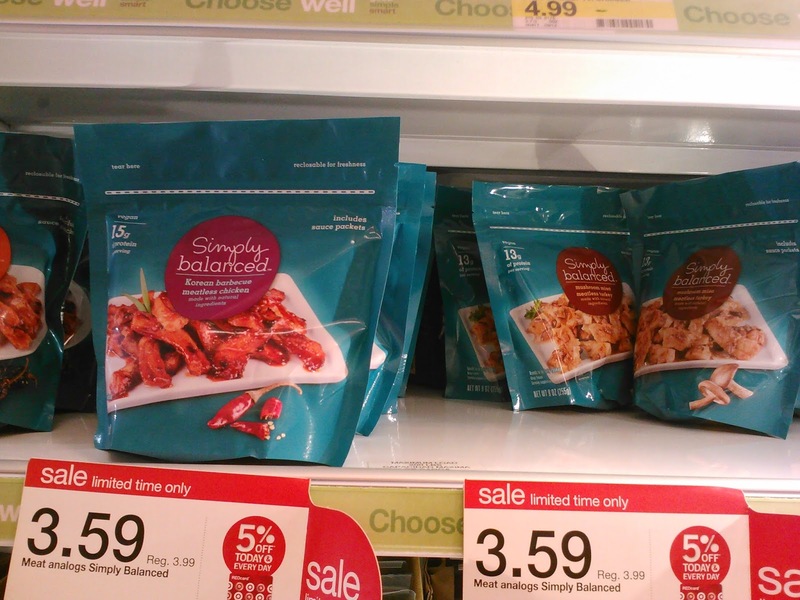 Bonus: if you shop at Target this week all Simply Balanced stuff is on sale! Fill your freezers! Screw those people, any product that makes it easier for people to make compassionate choices is a win in my book! I can't wait to try these one day. 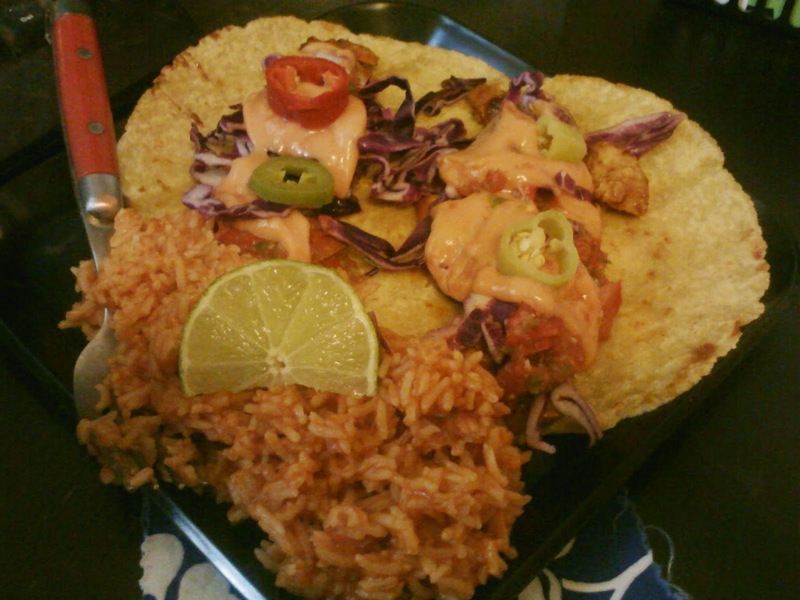 I can't wait until I get to try them, your tacos look awesome! Those tacos look super good! I'm looking forward to trying the chicken strips. I'm really glad to know the sauce is separate, that allows many more options for using the strips.